Last week, we were very excited to be able to attend Picademy Glasgow – a free two day training opportunity from the Raspberry Pi Foundation. For those who haven’t encountered a Raspberry Pi, they’re tiny computers that pack a big punch. For around £30, you can plug the Pi into your TV or a spare monitor, get power via a micro USB phone charger, attach your keyboard and mouse and get going. The machines are ideal for learning to code, and come with Scratch, the SonicPi music creation software, a basic version of Minecraft, and all the tools you’ll need to get going in the Python coding language. 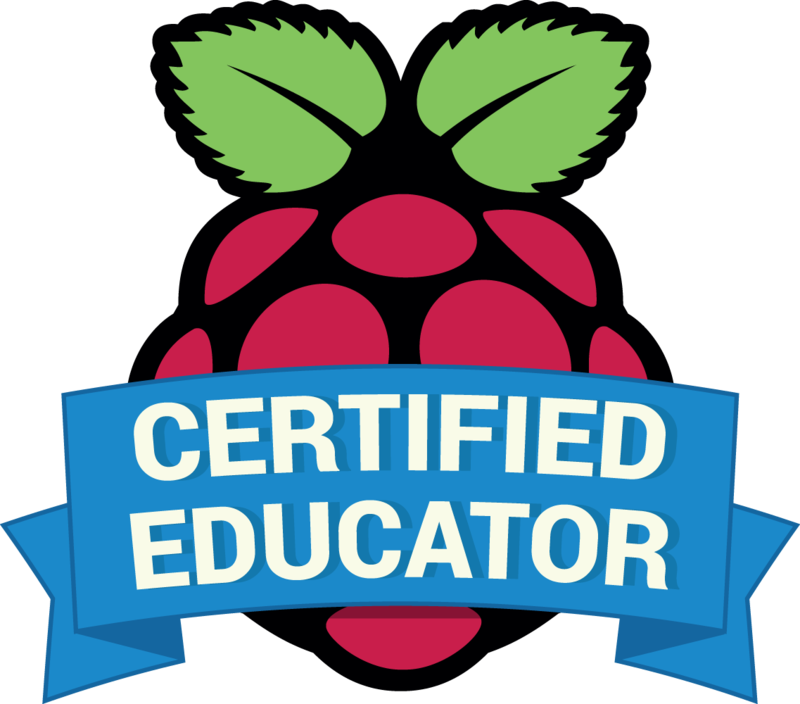 While not designed for schools, the creators quickly realised their huge potential in education settings, and set up the Raspberry Pi Foundation to support teachers and learners who wanted to get involved. On day one, we were handed a bag with all we needed to get started – a Pi, an SD card, and some tins with fun fiddly bits to plug into the Pi’s general purpose pins. Over the day we had the chance to attach LED lights and buzzers to the Pi and program them via Scratch, create our own music with Sonic Pi, write code in Python to affect a Minecraft world, connect, set up and use a camera, and control motors, again with the Python language. It was fun but challenging and moved at a fair pace so we would say that if you hadn’t had any previous experience of Scratch or Python, you would find the two day course pretty intense. Day one ended with an opportunity to create something using the motor and a table filled with craft materials that would put Blue Peter to shame! We each worked on our own fun projects creating moving ghosts and a marble run. Day two was when we were expected to put the training from day one into practice. We had the majority of the day to work on a project before presenting it to the rest of the group. We wanted to create a resource that could be used by Primary or Secondary teachers to develop Python skills, so decided to work with Minecraft. We felt that our resource would be aimed at P6-S2 and that pupils coming to it would likely have had some experience of Minecraft and/or Scratch. We also recognised that without support, many teachers wouldn’t feel confident about building circuits so chose to stick with a resource which focused purely on coding, rather than using any of the physical computing options. We challenged ourselves to build a house using code which took far longer than we thought – especially to get two windows in the right place, that were the right shape and size. Despite this, we managed a lot of what we had expected to accomplish by the end of the day and felt our presentation went well, but we have still have work to do on the resource itself. Our intention is to create a resource where pupils will be asked to modify the house in lots of ways that increase in challenge as they go and we hope to add the ability for pupils to screenshot their progress and be able to comment on this. We envision taking this further to develop challenges which will allow pupils to create their own buildings using the skills they have developed. Attending the Picademy was a privilege and gave us a great chance to be challenged ourselves and to start to create something that hopefully will benefit learners. Lots of plans, lots of work but first of all we need to figure out how to make the door space the right size! Digital Future Scotland Create a free website or blog at WordPress.com.